Visco supplementation is the use of specialized injections to reduce pain and inflammation in the knee. The injections are composed of a dense gel that contains hyaluronic acid, a biological protein that helps lubricate the joint. The body naturally produces hyaluronic acid, though quantities diminish with age. When this gel is injected directly into the joint, it helps improve the viscosity of joint fluids while also improving joint mobilization. 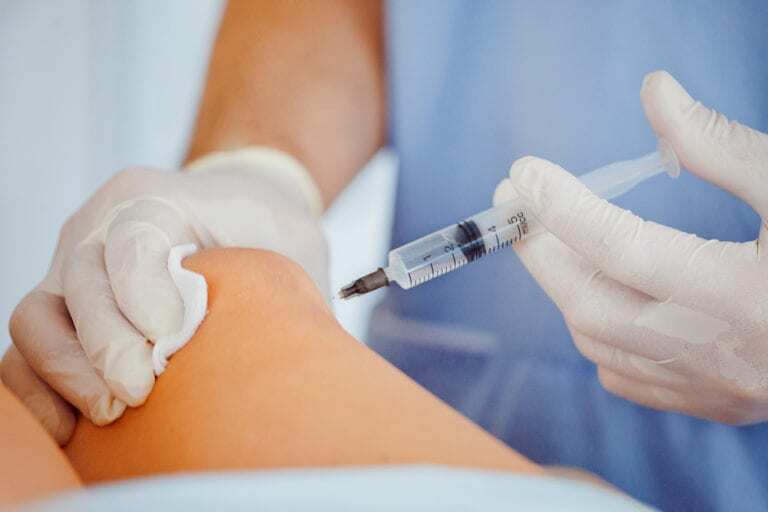 For many, visco supplementation injections are an alternative to undergoing knee surgery. For others, the injections are merely a means of minimizing chronic pain caused by physical trauma or degenerative disease, such as osteoarthritis. The relief available with visco supplementation varies from patient to patient. Some experience instantaneous results, whereas others do not experience the benefits of visco supplementation until one or two months after treatment. Depending on individual outcomes and long-term goals for treatment, some patients may opt to receive visco supplementation therapy more than once per year. Occasionally, surgery is still necessary despite visco supplementation. Am I a candidate for visco supplementation? You may be a candidate for visco supplementation if you have osteoarthritis in your knee but are looking for an alternative to undergoing knee surgery. Osteoarthritis of the knee is often manageable with medications and physical therapy. But for those who require additional medical intervention, visco supplementation can be a far less invasive alternative to surgery. Speak with your orthopedist about whether visco supplementation therapy is right for you. What should I expect during a visco supplementation treatment? Visco supplementation is performed as an outpatient procedure. Your orthopedist will examine your knee for swelling and fluid retention. Any excess fluids will be aspirated from the joint before the injection is administered. It takes only minutes to get an injection, although you will need to return for additional injections approximately once per week for a period of three to five weeks. What should I expect after a visco supplementation treatment? You’ll be instructed to ‘take it easy’ on your injected knee or other joint by avoiding long periods of standing or heavy lifting. It is normal to experience some soreness and swelling at the injection site, as well as some heat or warmth. This discomfort should subside quickly though you may apply ice to help minimize symptoms. Don’t be alarmed if you do not experience any immediate results after a visco supplementation injection. Many patients report improvements many weeks after treatment.